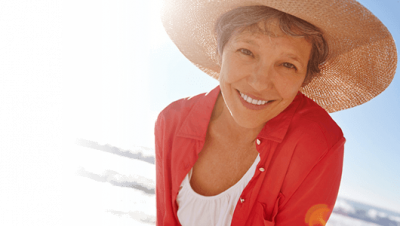 Be covered properly with the right travel insurance when you have a hip & knee replacement. Find out more about our travel insurance options below. When you’re ready, get your quote online or give us a call today. After having had a hip or knee replacement, going on holiday may seem like a great chance to relax. Having the right travel insurance in place can give you peace of mind, so you can go away with the reassurance that if the worst happens, you’ve got our support. 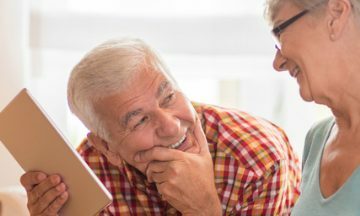 You can get a quote for your hip and knee replacements online today, or if you prefer, give a member of our helpful team a call on 0800 033 4902. Does a joint replacement affect your travel insurance? When going on holiday, it’s important that you declare any pre-existing medical conditions, including hip and knee replacements. 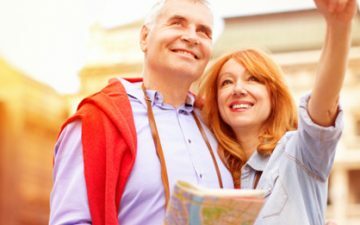 Having a joint replacement is quite a common and fairly routine operation, so we don’t believe that it should stop you from getting the cover you need, but it is important that you declare it on your travel insurance. So, if you’ve had a joint replacement and want peace of mind when off on your travels, having proper cover in place is the key to any happy holiday. With the right travel insurance, travelling after a hip replacement or knee replacement can be that bit less of a worry. If anything goes wrong, you’ve got our support. Find out more about how our travel insurance can protect you when travelling after a joint replacement. When you’re ready, you can either get your quote online or call our friendly team on 0800 033 4902. Why do I need travel insurance to cover a joint replacement? Having proper cover in place for joint replacements can make sure that if the worst happens, you’ve got our support. From a medical emergency to flight delays or lost luggage, it’s sensible you’re covered properly for your holiday. Just to be on the safe side. Even though you had your surgery over 2 years ago, if you’ve had any follow-up appointments, you need to declare the underlying condition on your travel insurance. 2) I am awaiting a hip/knee replacement, can I still get cover? If you are awaiting a joint replacement, we will be able to cover you for everything except cancellation or cutting your holiday short, as a result of your underlying condition. If you are awaiting a joint replacement, you will need to declare the underlying condition the surgery is for – including wear and tear. We will then ask questions relating to the condition, where you’ll need to disclose that you are awaiting surgery for the condition. If you’ve had your surgery but haven’t been signed off yet, then we can still offer you cover but it wouldn’t include being flown home after having a medical emergency that was related to your underlying condition. How do I declare my joint replacement on my travel insurance? To declare a pre-existing medical condition on your travel insurance, you’ll first need to complete our medical screening. The medical screening is a set of straightforward multiple choice questions, designed for us to understand how your condition affects you. It’s vital that the answers given to us are thorough and accurate about your medical history. Failure to disclose any details of your medical history will affect how protected you are by your policy, should you need to claim later down the line. Why was the joint replacement or resurfacing performed? How many joint replacement or joint resurfacing operations have you had? Does this condition require you to use any mobility aids? Are you awaiting any joint replacement and/or resurfacing surgery? Has your joint replacement ever dislocated? Have you ever needed treatment for any neck or back problems? Can you travel after having a hip replacement? It’s important that you speak to your doctor before travelling, to check when it’s safe for you to travel. Make sure you inform your doctor of any activities you’re planning on doing while you’re away, to get their go-ahead that it would be safe for you to participate. Each airline has its own regulations as to when you are safe to fly with them, so it’s always best to check beforehand. I use a mobility scooter. If I’m using it abroad and I have an accident, will I be insured? You will be medically covered if you have an accident when using your mobility scooter if you have fully covered your pre-existing medical conditions. But we can’t provide Personal Accident cover (if you become permanently disabled or lose a limb, sight or hearing) or Personal Liability (for injury to a third party or damage to property) if an accident occurs when using a mobility scooter. Please note: we are not able to cover the mobility scooter itself if it is lost or damaged. Get a quote in just minutes and tailor your quote to you and your family’s medical and travel needs today. *** NHS – When Can I Fly After Surgery?